Blogger gift guides are the perfect place to find cute, unique finds for your loved ones. Whether your shopping for the foodie in the family or the man in your life. You’re sure to find a gift they will absolutely love! Here are a few of our favorite gift guides from our fabulous fashion and food bloggers. We love everything about Jess’ gift guide. She’s done an amazing job finding fun, festive prints and cozy accessories that are sure to keep loved ones warm this winter. Also, we’ve been obsessing over that adorable frenchie sweater. It’s so stinking cute. It’s one-stop shopping over on Olivia’s gift guide which features both His and Her options. Pick out the perfect gift for your special man, girlfriends, sisters or aunts. You name it! Her style is amazing so no matter what you choose, it’s sure to be great! Samantha over on Gold Coast Girl also created a guide for both the ladies and men in your life. We think she killed it with her choices for Him. The array of dapper accessories is sure to take his style game to the next level. Make sure to check out the Her guide too, it’s filled with classy picks! If you’re searching for a gift for that one friend always spending their time in the kitchen, Kit’s got your covered. She’s shared her favorites gifts to give the foodie in your life. Being a foodie herself, you can’t go wrong with her picks. That’s right, Cara has THREE gift guides. Since holiday party season is now in full swing, her ‘guide for the host’ is perfect. It’s sometimes hard to know what to give the host or hostess but Cara picks are sure to impress! 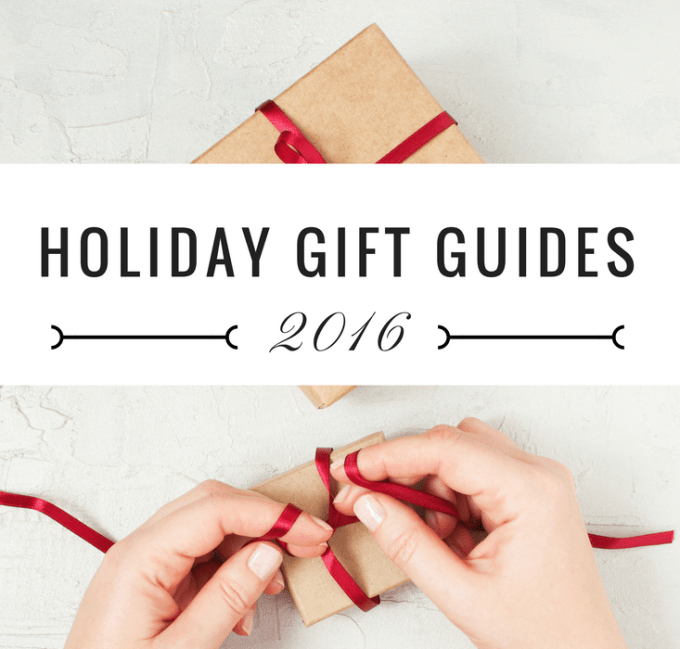 Know any other awesome gift guides? Let us know! We want to share them!